Last January I had the opportunity to visit Myanmar through a community-exchange and solidarity mission between Philippines and Myanmar groups. I first participated in the workshop organized by Karen Environmental and Social Action Network (KESAN) in Salween Peace Park in Papun District, Karen State. Then I was one of the resource persons in the 4th National Meeting of Myanmar Mining Watch Network (MMWN) in Tuanggyi City, Shan State. In both activities, I shared the people’s movement in the Philippines in relation to big corporate mining and engagement of environmental groups in the peace negotiation. 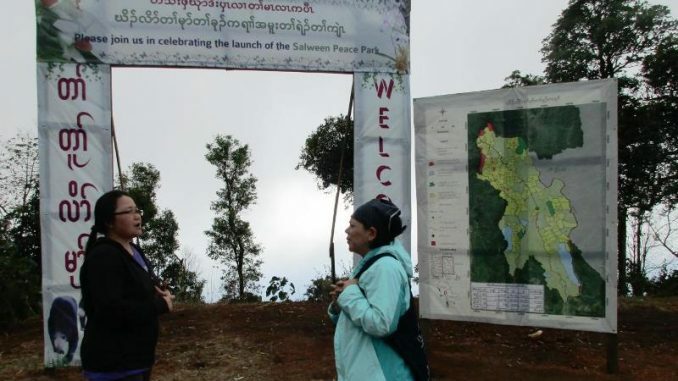 In December 18, 2018, the Karen people formally declared the establishment of the Salween Peace Park, a 5,485-square kilometer forest park in Hpapun District, Karen State. 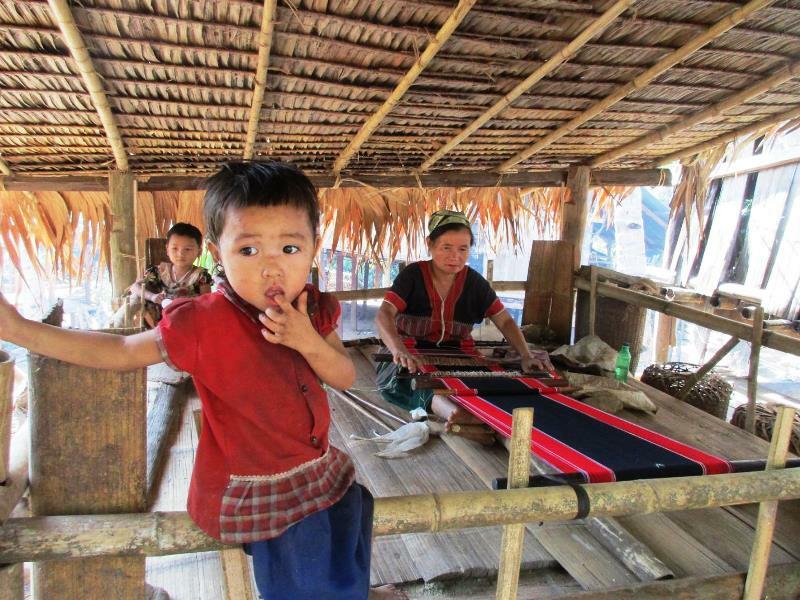 The area has a wealth of natural resources, high biodiversity, unique ecological landscape and rich cultural heritage of Karen, one of the biggest indigenous people groups in Myanmar. The peace park is an expression and integration of Karen people’s right to self-determination, natural resource management, environmental protection, and good governance. This is an effort by different institutions led by KESAN and representatives of indigenous people groups in the area. They were able to get the Karen National Union (KNU) and the Karen National Liberation Army (KNLA) as partners in the Salween Peace Park which for 70 years have been asserting their own independent state from the Burmese government. In the park, areas are classified for different uses and limitations. There are areas home to wildlife and endemic species. These are off-limits to human settlements or production activities. Forest areas are classified for different uses such as agroforest, communal, or protected. Destructive projects like large dam and large-scale mining are prohibited in the park. While the peace park ensures the ecological conservation and people-centered resource management, it is still facing great challenges and grave threats. Known for its rich natural resources for power generation and mineral extraction, the Burmese government identified the area for commercial mineral extraction and site of mega-dam project. 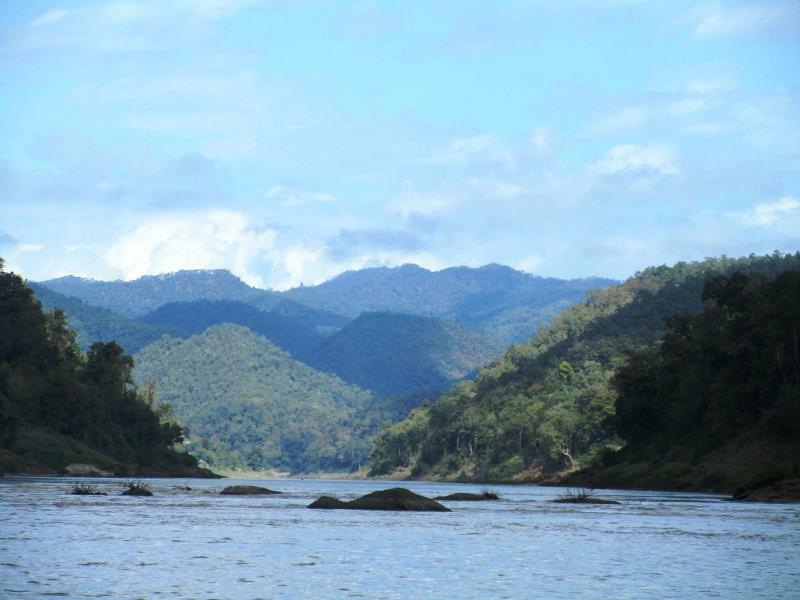 The communities inside the Salween Peace Park have opposed the large-scale gold mining there. Communities have been vocal in fighting the large-scale mining proposed by the Burma government and local officials. As of now, the communities are keeping at bay the Burmese government and corporate mining in exploiting their park. 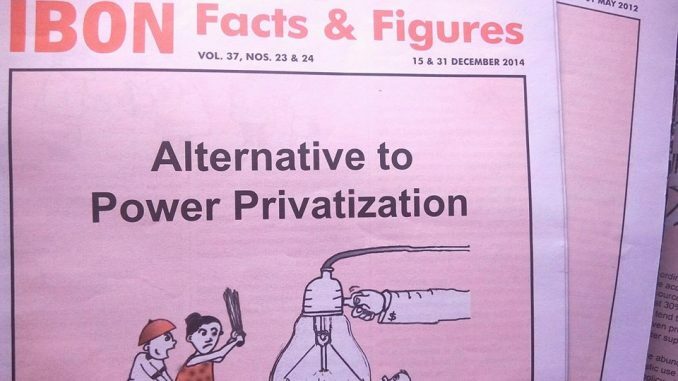 The Karen people also have been campaigning for more than a decade against the construction of the 1,365 MegaWatt Hatgyi Dam which is being pushed by the Burmese government along with Thai and Chinese companies. If the project pushed through, it will result to the displacement of tens of thousands of indigenous peoples and flooding of communities and ecosystems along the Salween River. Until now, the dam proponents are failing to overcome the opposition of the people in the project area. To impose these destructive projects, the Burmese government continues to deploy military to the Karen State and the Salween Peace Park. There are now more than 300 Burmese military detachments in Karen State, 80 of which are in the Salween Peace Park. This has resulted in several armed encounters between the KNLA and the Burmese army. In communities which are near Burmese military detachment, residents find it hard to live in peace. Numerous human rights violations by Burmese military against Karen people were recorded. MMWN is a national coalition of grassroots organizations from mining-affected areas representing different ethnicity, including Kachin, Kuki, Karen, Karenni, Chin, Ta’arng, Mon, Arakan and Shan in Myanmar. During their meeting last January 14-16, 2018, I was able to share the mining situation and lessons and victories of people’s struggle against large-scale mining and resource plunder in the Philippines. I found out that there are a lot of similarities in the situation and struggle of both countries. Large-scale mining in Myanmar and the Philippines have resulted to wholesale land-grabbing, massive environmental destruction, widespread human rights violations, and fast natural resource depletion. Large-scale mining projects are being promoted and protected by both national governments. They used the military to force the entry and operations of the mining companies in peasant and indigenous communities. The MMWN is a collective effort of the people to unify their struggle and coordinate their campaigns. 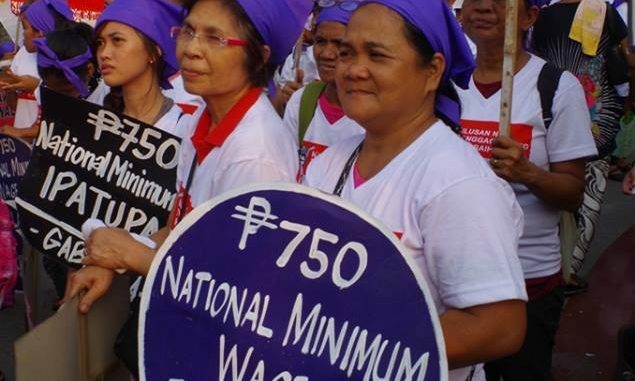 Same with Kalikasan People’s Network for the Environment (Kalikasan) and Philippine groups, MMWN calls for a radical change in the mining policy of the Burmese government. Primary demand in their campaign is the respect for land rights and the right to self-determination of the indigenous people. The community exchange between the Philippines and Myanmar is part of an effort to strengthen the solidarity between people organizations in Southeast Asia Region. It is an initiative of Kalikasan, International Movement for Self Determination and Liberation (IPMSDL) and the international coalition Yes to Life No to Mining Network (YLNM). We have partnered with KESAN and MMWN to realize the solidarity activities. The idea of exchange came up and was planned during the two mining workshops organized both by the International People’s Conference on Mining (IPCM) and YLNM during the Asia-Europe People’s Forum in Ghent, Belgium in September 30, 2018. Then, on another workshop during the Thematic Social Forum on Mining and Extractives in Johannesburg, South Africa in November 12, 2018. The exchange provided the venue to learn from the experiences and lessons of the struggle of grassroots organizations and communities affected by extractive projects. At the same time we know the exchange will identify emblematic cases of successful initiatives of communities in relation to their resistance to large-scale mining and management of their natural resources. The MMWN and the Salween Peace Park are examples of emblematic cases. On April 2019, it will be the turn of people’s organizations in Myanmar to send their leaders and representatives to the celebration of Cordillera Day. It is national commemoration of the death anniversary of Macli-ing Dulag, a great tribal leader in the 1980’s which led the indigenous people Igorots in defending their lands, rights and resources against the World Bank funded Chico Dam project. They successfully stopped the project and continue their tradition of resistance. In the heroism of Macli-ing, in the spirit of the resistance of the Karen and Igorot people, we will continue to strengthen the solidarity between the people of the Philippines and Myanmar. Clemente Bautista is the national coordinator of the Kalikasan People’s Network for the Environment in the Philippines. For comments, email him at secretariat@kalikasan.net. The post How Myanmar indigenous peoples defend their rights over natural resources appeared first on Bulatlat.